Our Rustic Furniture Category is the perfect place to furnish your cabin. We work with the finest craftsmen to select styles for your rustic decor. Our beautiful Hickory and Oak furniture line is built by Amish craftsmen known for their attention to detail. 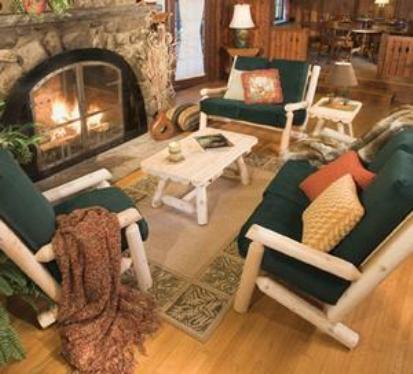 Whether your taste is Adirondack furniture or Cedar Log furniture, we offer the finest quality rustic furniture choices.